I see in the December 25 MidWeek that the venerable Marimed Foundation, which traditionally offers sail-training programs for troubled or at-risk youth, now has a special, 13-week training program to expose Hawaii’s kids to opportunities in the maritime professions. As the old-timers on the waterfront and seamen on Hawaii-based ships and tugs retire, there’s a growing shortage of experienced marine technicians, shipwrights, engineers, welders and mariners to replace them. Moreover, kids from disadvantaged communities may not even know about these kinds of high-paying careers, or have the resources or connections to pursue them. Marimed plans to help remedy all that. 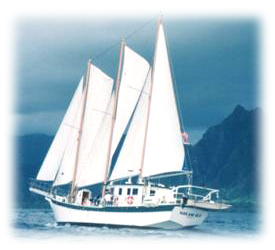 By combining its own maritime resources–not least, the 97-foot three-masted schooner Makani Olu–and its experience with youth training with the on-the-job experience of old tars like Kaipo Pomaikai, a former Merchant Marine captain, and Leighton Tseu, who once was in charge of maintenance for the entire Matson fleet, Marimed hopes to expose local youth to the professional opportunities on the waterfront. 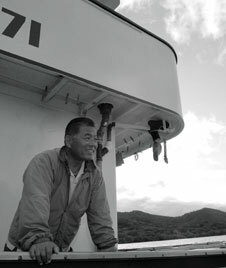 Reading about Marimed and the Makani Olu brought back memories of a piece I wrote several years ago about the last professional watermen on Kaneohe Bay. In addition to the fishermen on Nissei, the last aku boat in Hawaii, and the captains and crews of the gaudy fleet of cruise boats and party boats out of Heeia Kea, the young crew of Makani Olu are a throwback to older times. 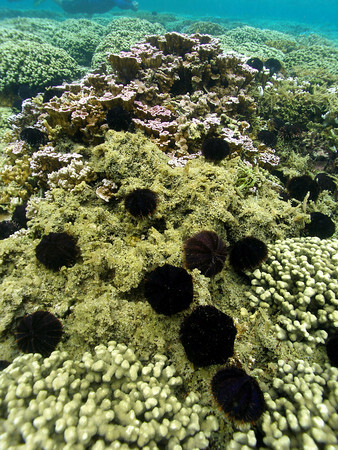 And there’s still nothing quite like driving over the rise from Kailua on Mokapu Drive and catching sight of the schooner riding at anchor beyond the wide flats at Kokokahi, or sailing out along the sandbar as Makani Olu heaves into the channel at Chinaman’s Hat and the crew scramble along the cabin top, furling sail as they go. One day, one of the young kids in the maritime course could be at the helm of Marimed’s anachronistic training ship.